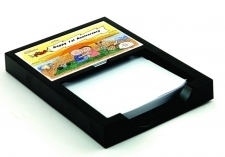 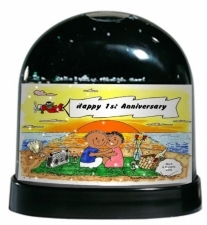 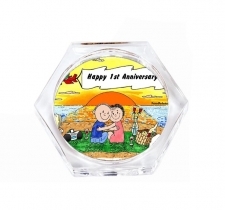 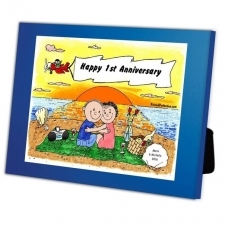 Great gift item for the happy couple - first date or special anniversary. 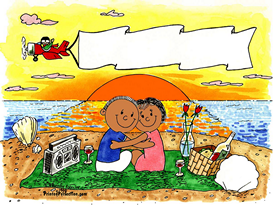 Relationships should be treasured and those special moments should be memorialized! 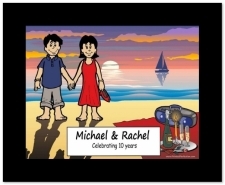 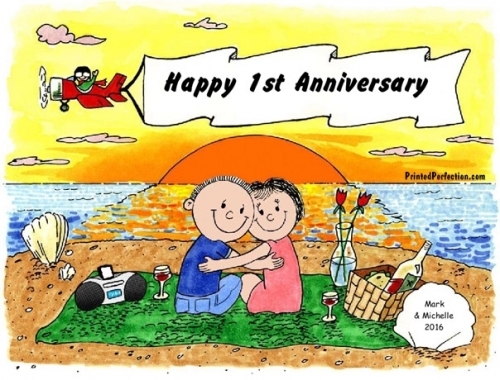 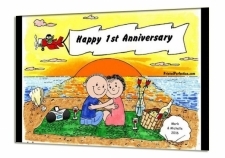 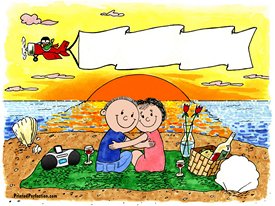 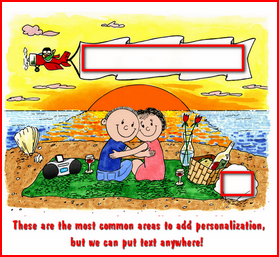 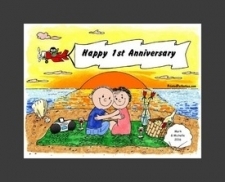 This is a great cartoon caricature that memorializes that special anniversary, first date and/or special moment. 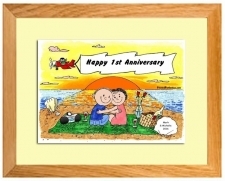 Makes a wonderful anniversary and couples gift. 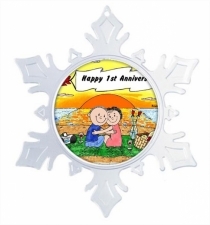 Add it to a snow globe, coffee cup or throw pillow.